What are the Show Your Love Binders? One of the amazing things that this group is going to be able to do is put together three very special binders for Jared Padalecki, Jensen Ackles, and Misha Collins. As fans of Supernatural we all love to send letters to actors telling them how much we love their work or how they have affected our lives. We all hope that our letters arrive, but we are honestly never sure. So at the Supernatural Houston Convention 2017 three binders will be handed out, one for each actor. In these binders will be letters from anyone that wants to send one, fan art that can be mailed to a PO box and included with the binder. Basically, anything you would want Jared, Jensen, or Misha to read or see will be included in these binders. We also want these binders to be huge so show as much love as you want for these three actors. If you want to share your story about how they have affected your life I ask that you focus on how good you are doing now. Tell them your struggles, but tell them all the good. Tell them as much positive stuff as you can. Also, if there is another actor that you would like to send a letter to it can be done at this convention as well via the group. Once the list of actors that are going to be there are set in stone there names will be added here so you know. Jared Padalecki has been an inspiration to the SPN family for quite awhile now, but it was not until last March that he took it to a new level. After losing another friend to suicide he decided to come out to the public and talk about his own battle with depression and started a t-shirt campaign to raise money for the non-profit To Write Love On Her Arms and raise awareness about mental illness,addiction,self-harm, and depression. After speaking out about mental health awareness the Supernatural fandom embraced him even more and found strength when they needed it most. His campaign Always Keep Fighting has saved so many lives and continued to inspire others every day. While Jensen Ackles is usually first noticed for his humor and looks, this guy is like the big brother of the Supernatural cast. He has become like a brother to Jared, and they care deeply about each other. Jensen is one to avoid the spotlight, but do not think he is never there for his family. 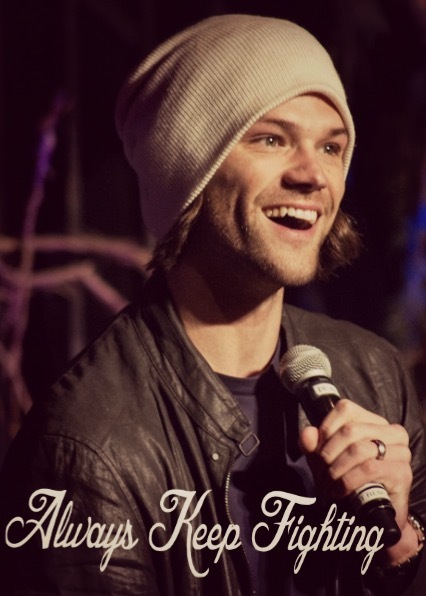 He is always backing Jared up and helping him on his worst days and being there for other cast members as well. He has grown especially close to Misha Collins, and these two have even started their own campaign called, "You Are Not Alone." It's a crisis hotline just for SPN fans. He is big on family, which is why we are highlighting the Down Syndrome Guild of Dallas. 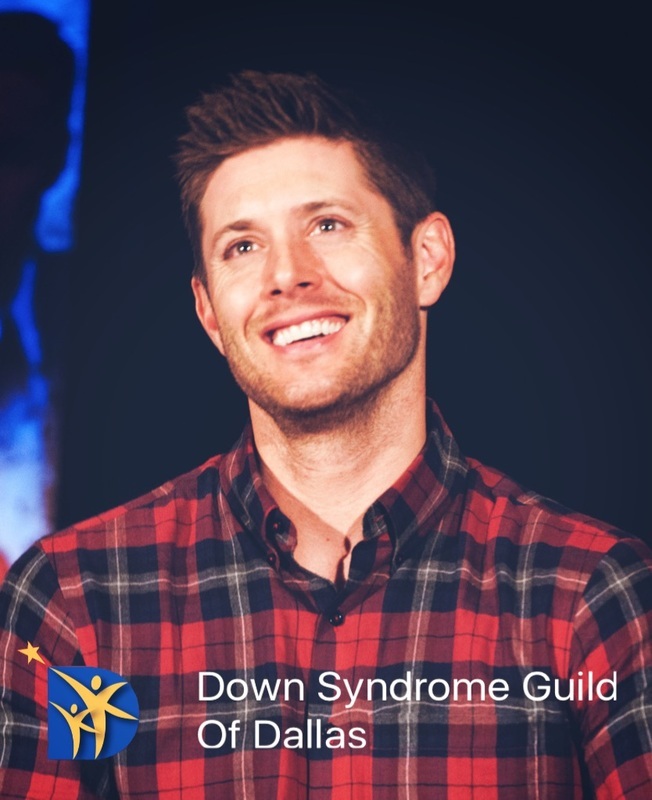 Last year Jensen went to their year event with his nephew Levi, who has down syndrome. He is such a kind-hearted, funny, genuine guy that he needs a little light shown on him. 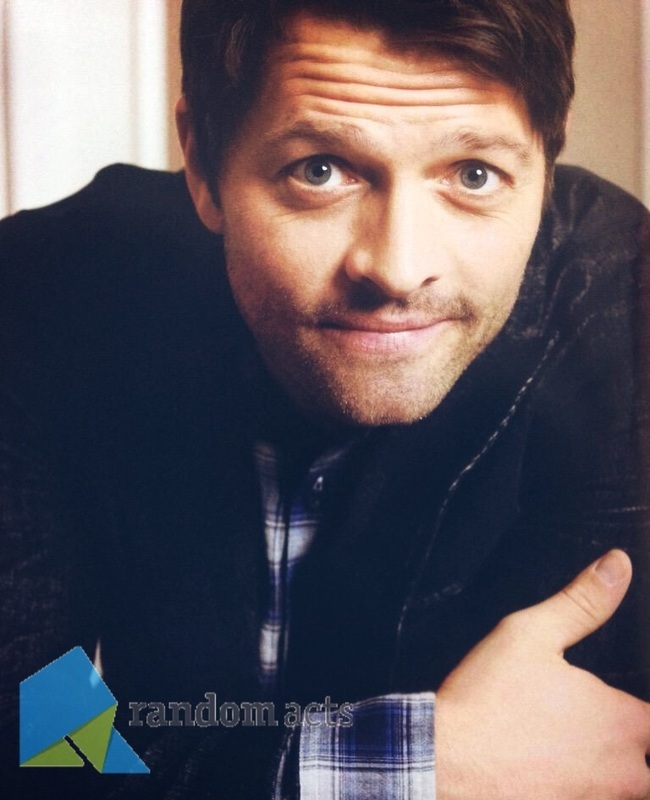 Misha Collins might seem like an odd guy, but in reality, he is a real angel. Misha grew up with his brother Sasha and single mother, most of the time having very little or no money at all. He has talked about being homeless, people giving his mother money to buy him and his brother Christmas gifts, and so on. As he got older, he wanted to pay it forward and help others who might need a little help in such a tough world. So he created Random Acts, an organization dedicated to conquering the world one small act of kindness at a time. He has helped raise money to build a school in Haiti and now is working with another school in Nicaragua. The kindness of this gentleman has no bounds. He has also been there for Jared and Jensen as well as them having his back. Each helping each other when ever possible. ​*When you send in your letter please make sure to label in the subject box the name of the actor as it will help with sorting. *If you want to mail something to the group please email us and we will give you an address to send your stuff too.